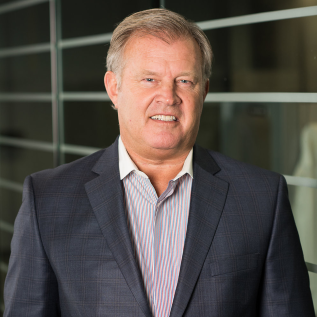 Mark has more than 35 years of leadership experience in the medical industry that included pharmaceutical, diagnostics, consumer products and medical device. Mark was past CEO and Chairman of the Board of Solta Medical, Inc. until it was acquired by Valeant Pharmaceuticals International, Inc. He served as President and Chief Executive Officer of Conceptus, Inc. from 2003 to 2011 prior to its sale to Bayer Pharmaceuticals in 2013. Previously, he was Senior Vice President and President of The Americas Region, responsible for the commercial operation of all Bausch & Lomb businesses in the United States, Canada and Latin America. He also served B&L as President of Europe. Mark joined Bausch & Lomb in 1995 as Vice President and Controller in the Personal Products division and also served as a Vice President in Corporate Business Development. Previously, Mark held an executive level position with KOS Pharmaceuticals, several Bristol Myers-Squibb subsidiaries and Sanofi Diagnostics Pasteur. Mark served as President and Chief Executive Officer of Conceptus, Inc. from 2003 to 2011 prior to its sale to Bayer Pharmaceuticals in 2013. He has recently been named Chairman of the Board for NovaBay, a NYSE biotech company located in Emeryville and has served there as a director since January 2014. He has also served on the board of trustees of St John Fisher College in Rochester, N.Y.
Mark received a MBA degree in Finance from Canisius College in Buffalo, NY., and a B.S. degree in Accounting from the State University of New York at Buffalo.